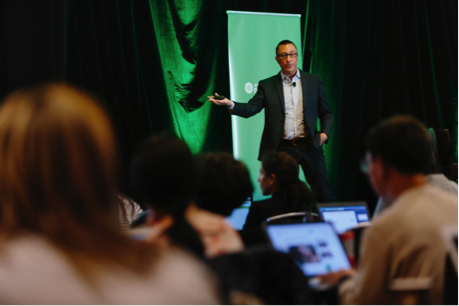 The QuickBooks® Accountant Education team is coming to a city near you with free, in-person training events that you won’t want to miss. Hosted by leading ProAdvisors®, these sessions will help you to master QuickBooks Online, become a trusted advisor to your clients and grow your practice. As one attendee of our spring tour shared, “The speakers were amazing. Being able to ask questions throughout the event really made a difference. I left feeling confident about building my firm.” Join us for one or more of these events, and leave ready to take your practice to the next level. Join your peers for a free full-day event to discover the benefits of cloud accounting. Learn how to grow your practice and work more efficiently with QuickBooks Online Accountant. By the end of this course, you’ll identify which of your clients are a good fit for QuickBooks Online and build an action plan to successfully transition to the cloud. Sept. 19: Jersey City, N.J.
Oct. 3: Los Angeles, Calif.
Oct. 4: San Diego, Calif.
Oct. 5: San Francisco, Calif. 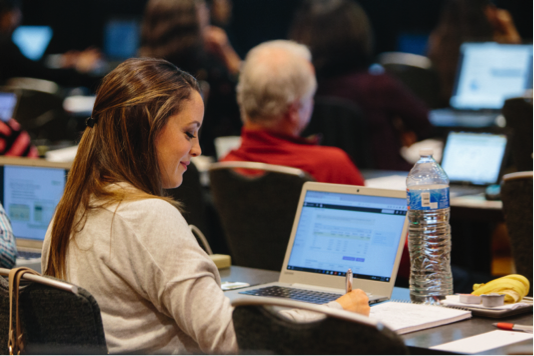 Become a QuickBooks Online guru with this not-to-be missed training event that’s hosted by leading QuickBooks ProAdvisors. Learn how to work more efficiently and grow your practice, while preparing for, and taking, the QuickBooks Online Certification exam. The exam is more than a test – passing it boosts confidence, establishes expertise and earns client trust. Oct. 10: Rancho Cucamonga, Calif.
Oct. 17: Jersey City, N.J.
Nov. 7: San Diego, Calif.
Nov. 8: San Francisco, Calif.
Nov. 14: San Jose, Calif.
Join us for a free full-day event to gain advanced QuickBooks expertise to better serve clients with complex business needs. Learn from leading ProAdvisors, network with other accounting pros and prepare for the QuickBooks Online Advanced Certification exam. Time: 7:30 a.m. – 5:00 p.m.
Sept. 26: San Francisco, Calif.
Oct. 11: Rancho Cucamonga, Calif.
Oct. 18: Jersey City, N.J.
Oct. 24: San Diego, Calif.
Nov. 14: Mountain View, Calif.
Don’t miss the opportunity to learn from top ProAdvisors, network with other accounting pros, and gain knowledge and ideas to take your practice to the next level. Don’t worry – we have many online training events to meet your needs. Just visit www.qbtrainingevents.com to find the best option for you.